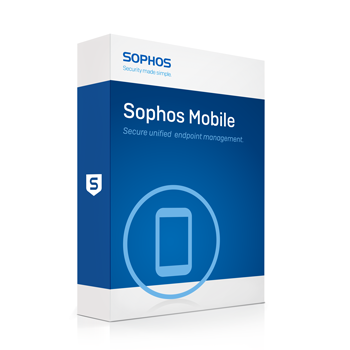 With Mobile Content Management (MCM), Sophos Mobile Control ensures each document connected to the server remains secure, allowing your users to remain productive by collaborating safely. Gated entry to each file allows organizations to rest assured that their documents and data remain safe-not just in the office, but anywhere and everywhere their users go. You'll also be able to ensure compliance by maintaining control of what apps are being installed. An overview of all mobile devices in your company shows you the device model, OS version and many other properties of the device. Reduce your risk of data breaches by setting SMC to block network access based on the device's compliance status. Automatically detect mobile devices the moment they connect to your network, and block unauthorised users and devices from the network. Version 4.0 ensures that your data protection doesn't end at the office door. Our MCM gives your iOS users a secure way to access, store and view documents, protecting them from unauthorised distribution. We individually encrypt each file, making sure your data is secure. SMC also integrates with Sophos UTM, Checkpoint and Cisco, keeping your networks protected. If a device is rendered non-compliant, network access is revoked. You can also Filter web access on your Android devices based on categories. Make sure that your user's devices and the data on them-are always safe.